Android 2.3 Gingerbread Unveiled - So What's New? Back in November 2008, Google unveiled the very first version of the Android phone. With just two years from now, millions of devices now successfully run on the Android Platform. Over 200,000 Android devices are activated daily by Google, with the volume continuously rising. Today, the internet search giant introduced the latest version of the Android OS platform tagged as Gingerbread, while unveiling the version on the next generation device from Nexus mobile products — Nexus S.
Apart from unveiling the Nexus S with the updated Android version, developers would get a taste of the new OS as Google makes the Gingerbread SDK/NDK available. Nexus S is the first Android device to ship with the new version of the Android platform. The smartphone has been developed with Samsung keeping the hardware and software tightly compatible with the each other. So what’s new with Android 2.3 Gingerbread? Users would be immediately able to notice the new User Interface, along with a new text input method, copy/paste, power management, word selection and much more. 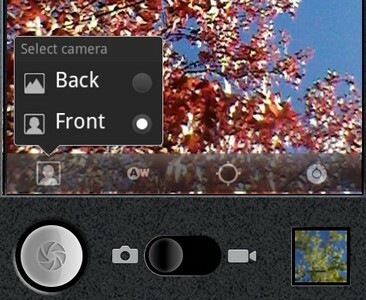 A simplified visual theme of colors against black brings vividness and contrast to the notification bar, menus, and other parts of the UI. Changes in menus and settings make it easier for the user to navigate and control the features of the system and device. 1. Users would be able to witness a new soft keyboard, offering faster input and editing capabilities. 2. Dictionary Suggestions are displayed in a larger and more vivid style. 6. Better battery life and enhanced performance levels. 7. Info on the amount of power being consumed amongst individual Apps and components. One Response to Android 2.3 Gingerbread Unveiled – So What's New?